Several ash plumes at estimated altitude of 8,000 ft (2.4 km) were spotted during the past 2 days. 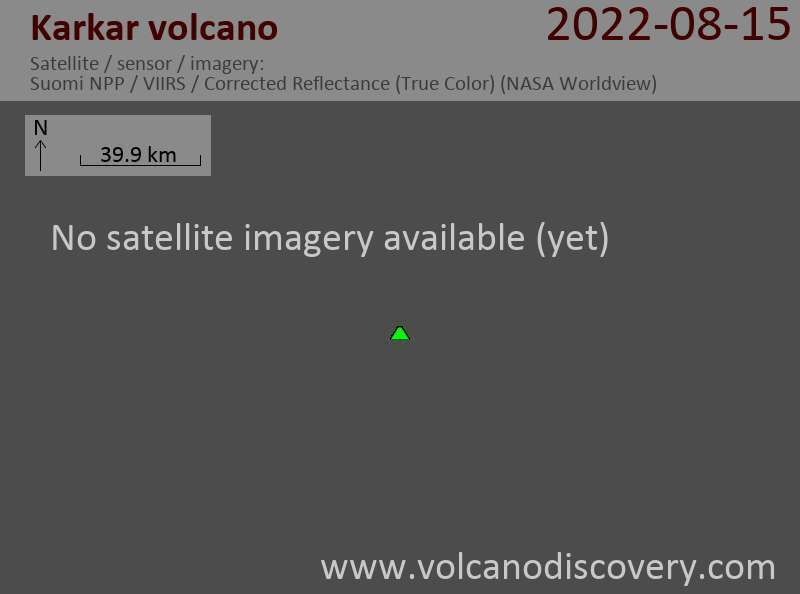 This suggests a new eruptive phase could have started at the remote volcano. A larger explosive eruption from Karkar produced an ash plume rising to 28,000 ft (8.5 km). The plume is rapidly drifting NW. An explosion occurred this morning. 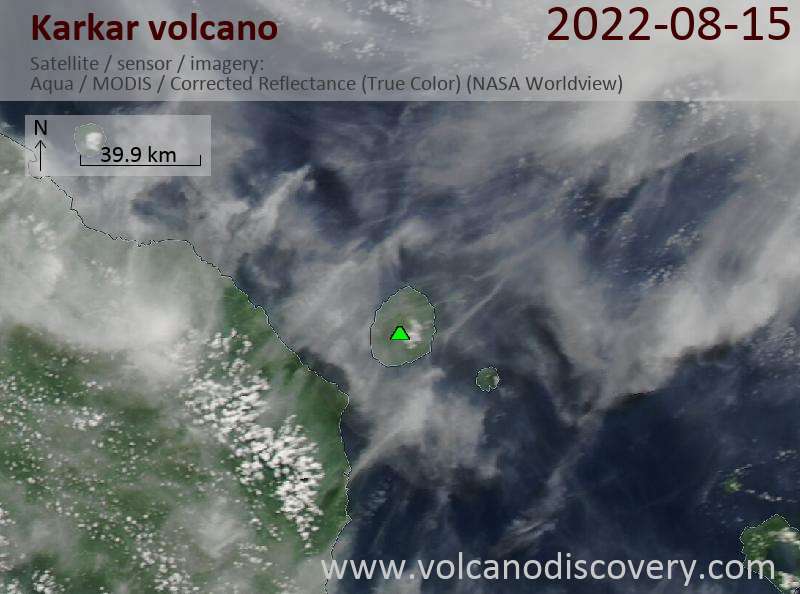 An ash plume rising to 14,000 ft (4.3 km) and extending 20 nautical miles NE was spotted on satellite data by VAAC Darwin.